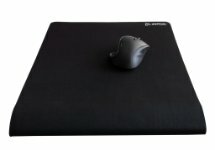 This unique breakthrough in gaming technology is a mousepad designed to eliminate friction and discomfort during long or intensive gaming and working sessions. 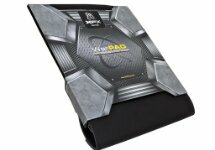 The XFX WarPad™ creates an edge so comfortable and supportive that your competition might just tire out before you do. Ultimate comfort for your forearm. Edgeless surface that wraps around the edge to eliminate forearm pain. No more sharp table ledges pinching against your arm or built in gel pads getting in your way of your gaming performance. Both thick and soft for ultimate comfort. 6mm thick pad with two actual layers of Styrene Butadiene Rubber is the thickest pad available today and is an ideal surface for extended gaming. This prevents it from flattening out like other mousepads which could cause discomfort over time. Bigger and better than the average mousepad. This oversized surface comes in at 431mm x 355mm (16.97 x 13.98 inches). Thats 200mm longer than your average gaming mouse pad. So feel free to move around and not worry about running out of surface space. Strong clamping mechanism made to last. 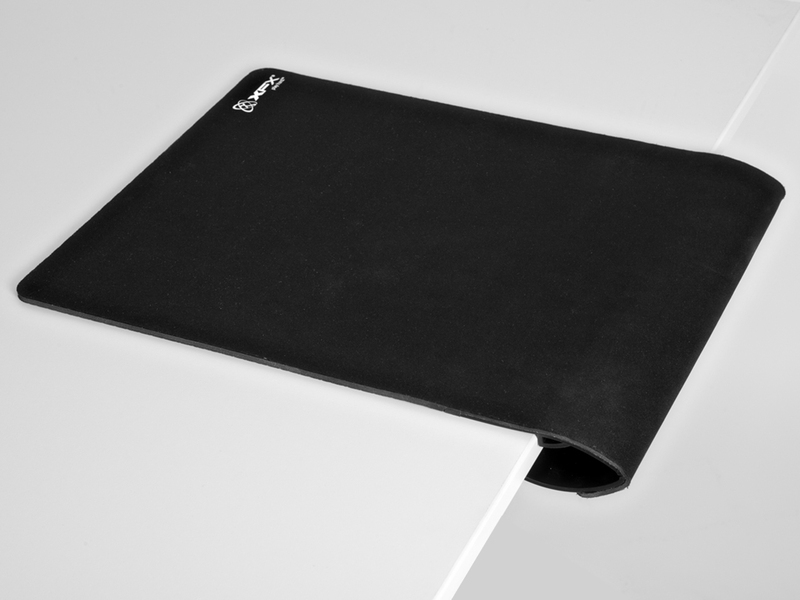 The Warpad’s secure clamping system keeps your mouse pad secure with it’s precision engineered spring steel hinge. Thick & Sturdy ABS Plastic Clamp Warpad’s camp is reinforced with a spring steel structure to prevent breaking and retain tension strength over time. Will fit most desktop ledges up to 2" thick. The ESS clamp can open up wide to accomodate various desktop surfaces from the thinnest up to 2 inches thick. 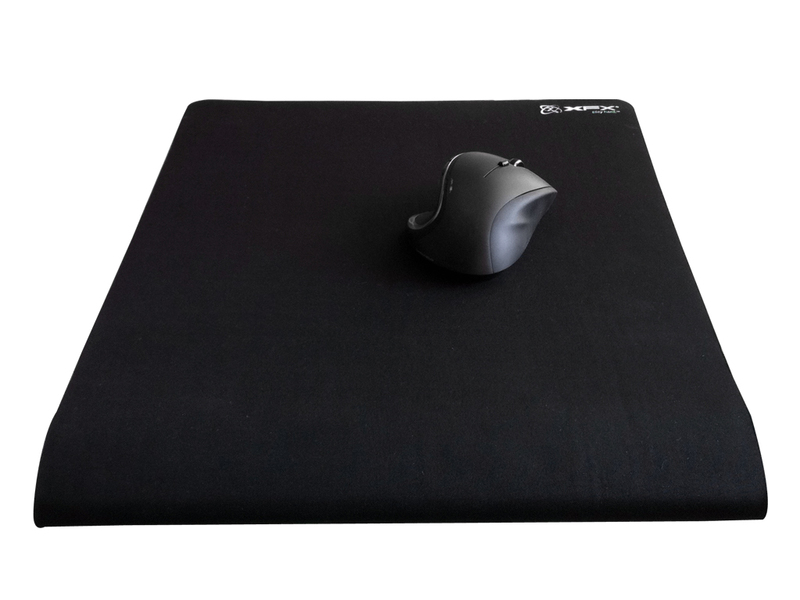 No matter what kind of desk you have the Warpad will fit pefectly. Smooth Synthetic APF (Active Performance Fabric) surface is durable and finely knit unlike cotton surface that bubble and loosen. Ridged rubber matting for suprior grip and strength. Designed to stay in place and not slide around. Other mousepads might claim to have rubber elements but it’s just cracks posing as traction. Warpad has real texture, difference you can see. Also tradition mousepads can slide around forcing you to adjust constantly but with the Warpad you can set it and forget it. 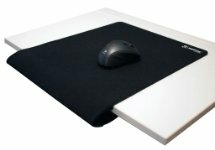 This unique breakthrough in gaming technology is a mousepad designed to eliminate friction and discomfort during long or intensive gaming and working sessions. 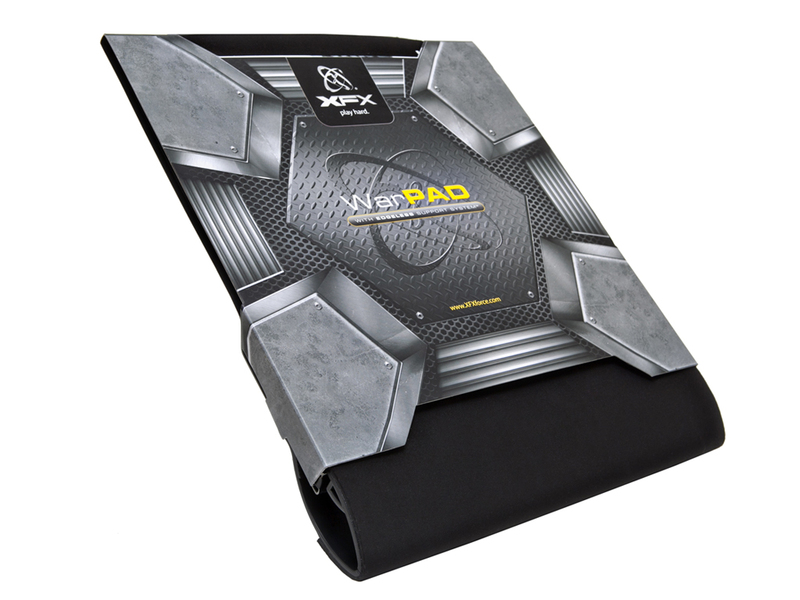 The XFX WarPad™ creates an edge so comfortable and supportive that your competition might just tire out before you do. 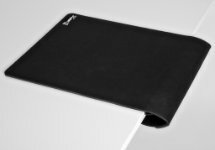 The XFX WarPad™ features the Patent Pending Edgeless Support System™ (ESS) that angles and cushions your wrist and forearm during continuous mouse usage.